SAW V (2008) - 92 minutes - Director: David Hackl- Starring: Tobin Bell, Scott Patterson - Genre: Horror - Plot: Agent Strahm continues to track Hoffman while another group of strangers are put through a series of gruesome traps. Meanwhile, an apprentice of the Jigsaw killer is deemed a hero. 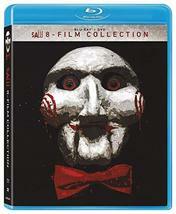 SAW: THE FINAL CHAPTER - 90 minutes - Director: Kevin Greutert - Starring: Tobin Bell, Costas Mandylor - Genre: Horror - Plot: As a deadly battle rages over Jigsaw's brutal legacy, a group of Jigsaw survivors gathers to seek the support of self-help guru and fellow survivor Bobby Dagen, a man whose own dark secrets unleash a new wave of terror. 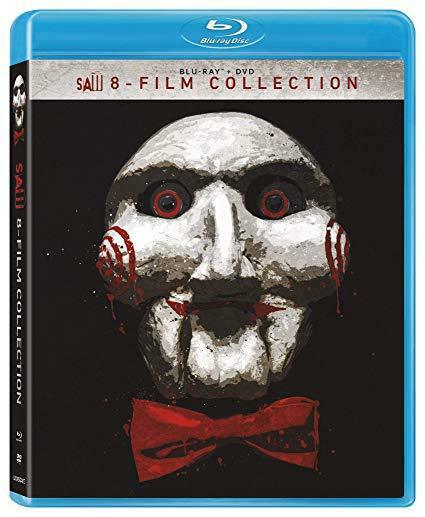 JIGSAW - After a series of murders bearing all the markings of the Jigsaw killer, law enforcement officials find themselves chasing the ghost of a man who has been dead for over a decade, and they become embroiled in a new game that's only just begun. Is John Kramer back from the dead to remind the world to be grateful for the gift of life? Or is this a trap set by a killer with designs of his own?